Setting your wedding date is a pretty big decision to make but there are a few things to consider because whats a wedding without guests? Consider first how much time you are giving your guests to book flights and accomodation for your wedding. Most guests won't want to commit to this without recieving an official invitation or save the date so keep that in mind. Also consider school holidays, public holidays, large festivals/events/sports games that may be important to your guests. It's pretty awkward having a conversation with a guest when they think they are bringing their children to your wedding or a single friend bringing a plus one. It's so important to make your invitations crystal clear, naming every person on the invitation and ensuring they note down their guest count when sending in their RSVP. 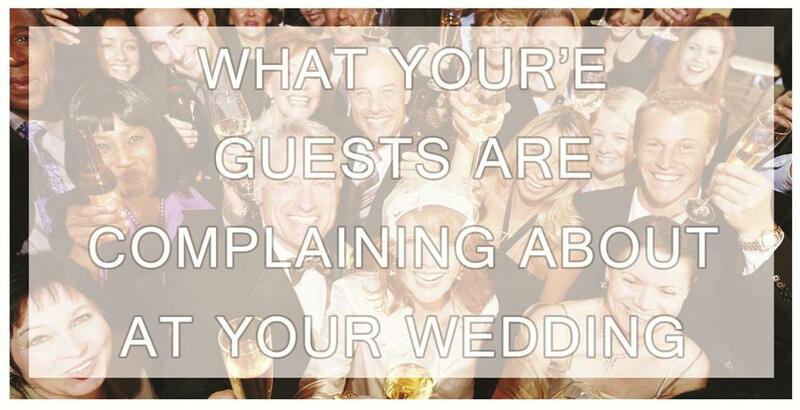 This is especially common for weddings that have their ceremony and reception in two seperate locations. Ideally you want your guests to go straight from the ceremony location to the reception location and spend an hour or so with the help of refreshments and canapes until you arrive. You can also add in some activities such as lawn games to help pass the time. I know what your thinking- you can't pre-plan or control the weather but you can plan what your going to do about it on the day. Think about shade for the heat, shelter from the rain and warmth from the cold. You need a constant supply of beverages to keep your guests refreshed especially in summer but this doesn't mean top shelf, a supply of water during certain parts of the day is suffcient. This goes for food too, canapes or platters work well as guests don't consume so much food but nibble to keep the hunger at bay. I know this will be a touchy subject for some and cash bars are sometimes all couples can do due to budget constraints so i'll just say this, let your guests know in your invitation that this will be the case and provide what you can in the way of juice, fizzys and if you can some beer/wine. Opening up the floor to speeches is rarely a good idea at weddings. Plan speeches carefully and if you have more than 3 speeches, break them up between courses to avoid guests getting bored. The perfect speech length is 5-10 minutes. It's a busy day and you have a lot of guests to get around and although it can seem labourous you need to chat with every guest or they will feel seriously ripped off. You can do the traditional recieving line or have more time with guests during cocktail hour by getting your photos taken prior to the ceremony. Usually once the first dance is done it's party time and the next 2+ hours will be fuelled with loud music and fast dancing. Some guests find this hard to deal with and need some quiet space. Consider having your dance floor in a seperate area or having a lounge-like area for those that need to get away from the noise but don't want to go home just yet. The weddings over, your've just returned from honeymoon- your exhaused! Many couples neglect to do thank you cards and it doesn't go unnoticed. You have spent a lot of money hosting each guest but consider they have too, some will have taken leave, some spent a considerable amount of money on travel and accomodation, many would have bought a new outfit and most will have given a gift so at the very least call each guest and thank them for making the effort and for their gift if given.